The Yoiul Festival Has Begun! We're happy to announce that the Yoiul Festival has begun! New Eden's annual holiday celebration has kicked off, with Rogue Swarm Nests across the cluster giving capsuleers the chance to pick up more Glacial Drift SKINs to add to their collection, as well as useful training accelerators, valuable loot and salvage, and more. In addition to this, there'll be awards available via The Agency for completing these sites too, including everyone's festive favorites - fireworks and festival launchers. Pilots should check out tiered rewards in The Agency window in game for more information! 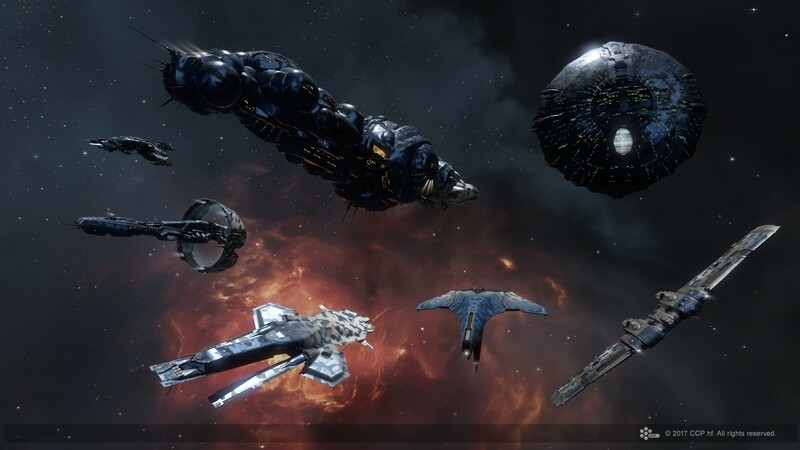 These Rogue Swarm Nests are appearing all over the cluster, in low, high and nullsec space, as well as in wormhole systems too, allowing everyone to get involved. The Yoiul Festival will run from 11:00 UTC today, through until 11:00 UTC on January 9th, 2018, so be sure to dive in and get hold of rewards during the holidays! Rogue Swarm Nests will appear on your overview, and you can warp to them to take part in this event. Be sure that you have Rogue Drones enabled on your overview before you head in! To do this, open your Overview settings, head to "Tab Presets" then "Entities" and make sure that "Rogue Drones" is ticked. You should see them highlighted on your overview when you head into the nests. We're also happy to announce that as part of the Yoiul Festival, a number of Glaicial Drift SKINs will also be available via the New Eden Store over the Holiday Season. These SKINs will be available in various discounted bundles through until January 9th! In addition to this, additional fireworks are also available in the New Eden Store!